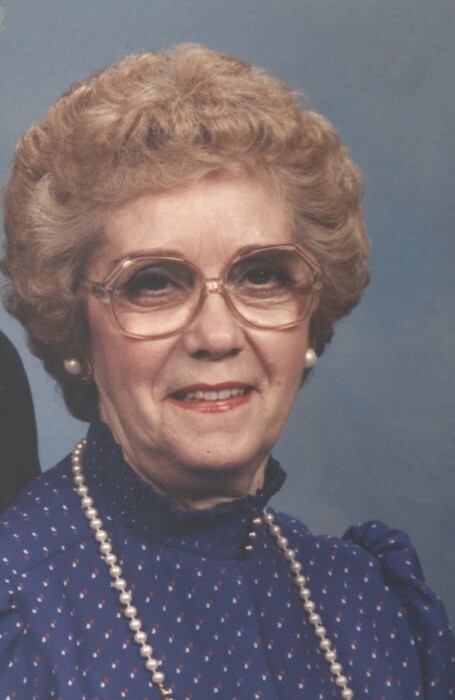 Nellie Frances Kingrey Schultz Huneycutt, of Round Rock, Texas, went to be with her Lord on the morning of April 04, 2019. She was born April 16, 1924 near Dalark, Arkansas. She was one of ten children of the late Granville and Ella Mae Digby Kingrey of Dalark, Arkansas. She married Terrel Dean Huneycutt on December 26, 1952. She lived her married life in Dallas, Texas until their relocation to Round Rock, Texas in 2014. Her and her husband were faithful members of the First Primative Baptist Church of Dallas, Texas. Nellie is survived by her loving husband of the past 66 years, Terrel Dean Huneycutt. One son: Steven (Yvonne)Huneycutt of Round Rock, Texas. Three Grandchildren: Keith (Barbara) Schultz, Carl Schultz, and Cindy Schultz Knoerr of Social Hill, Arkansas. Four great grandchildren: Kasey (Rebecca) Schultz, Ryan Schultz, Ethen (Mekayla) Schultz and Zachary Schultz. And one great-great grandchild: Evan Schultz. She was preceded in death by one son Kenneth Schultz, two sisters and seven brothers. The family will receive visitors at Ruggles Wilcox Funeral Home, Arkadelphia, Arkansas on Tuesday, April 09, 2019 from 6:00 - 8:00 pm. Graveside services will be held on Wednesday April 10, 2019 at 10:30am at the Macedonia Cemetery near Dalark, Arkansas and will be officiated by Elder Gary Harvey, with interment to follow. Leave a note for Nellie's family on our tribute page.